Rig'Em Right Slotted Bags are built for the demanding waterfowler. 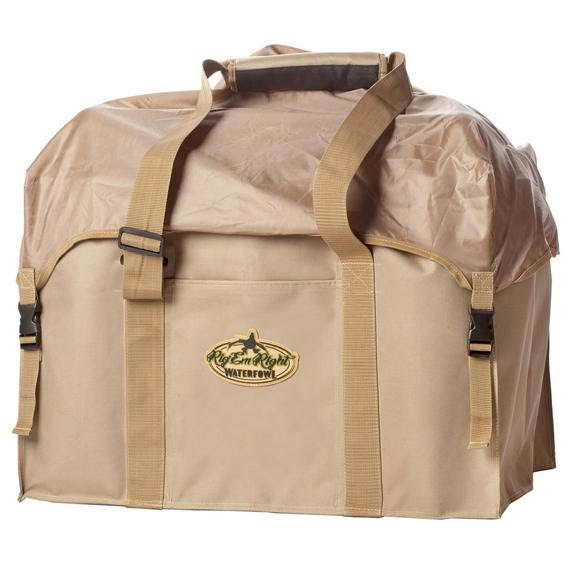 This bag is designed for smaller goose decoys like lessers or snow geese. Features padded adjustable shoulder strap, side pocket for decoy stakes and removable nylon top. This bag has all the elements of design and durability that are the trademarks of Rig'Em Right Waterfowl. Rig&apos;Em Right Slotted Bags are built for the demanding waterfowler. This bag is designed for smaller goose decoys like lessers or snow geese. Features padded adjustable shoulder strap, side pocket for decoy stakes and removable nylon top. This bag has all the elements of design and durability that are the trademarks of Rig&apos;Em Right Waterfowl.